Achieving balance in a small space was the challenge for this 50-square-foot bathroom by Herzog Kitchen & Bath. 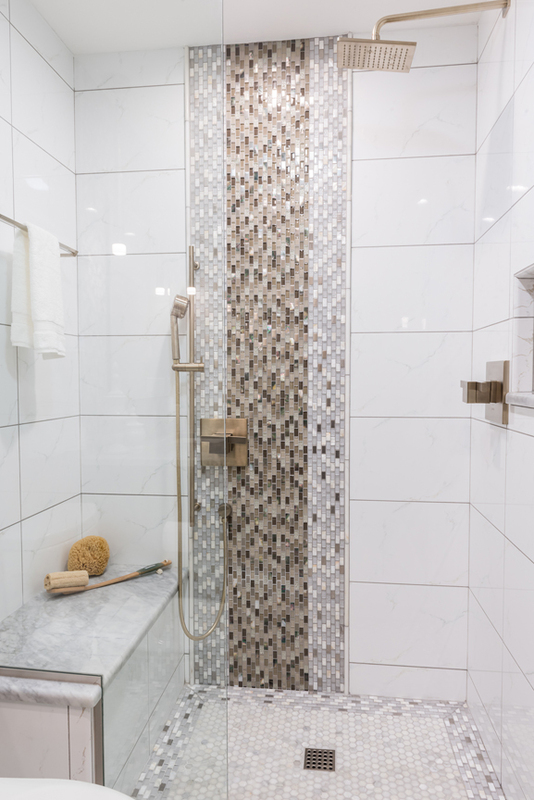 To give the appearance of more space, 12” x 24” marble tile was used in the shower as well as the clear, frameless, 3/8” thick glass shower enclosure. The intricate tile work makes the bathroom unique. Marble, mosaic glass and natural stone blend together seamlessly and coordinate with the marble vanity top. Warm taupe tones and soft white Kohler fixtures give the space a comfortable yet modern flare. 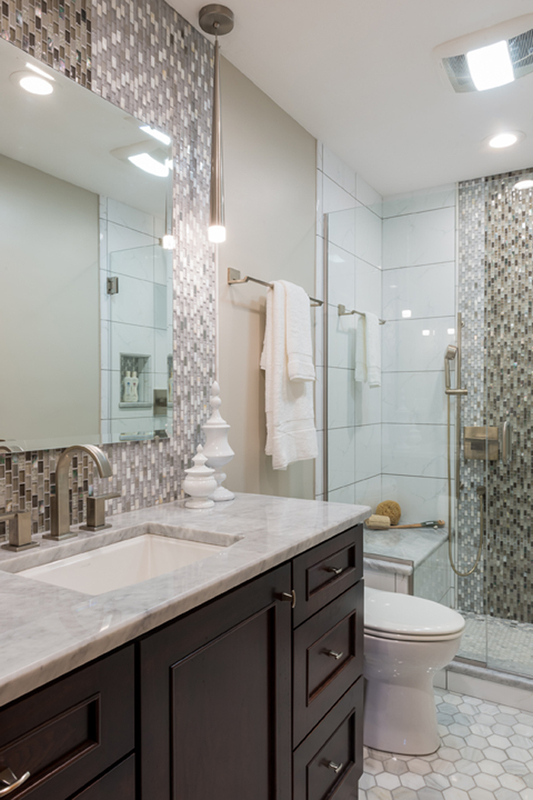 Modern, brushed nickel fixtures complement the other design elements. This bathroom looks bigger than 50 square feet, so the designers were successful in opening up the space. The tone-on-tone tile gives the space a three-dimensional look. Very inspiring for a smaller bath.